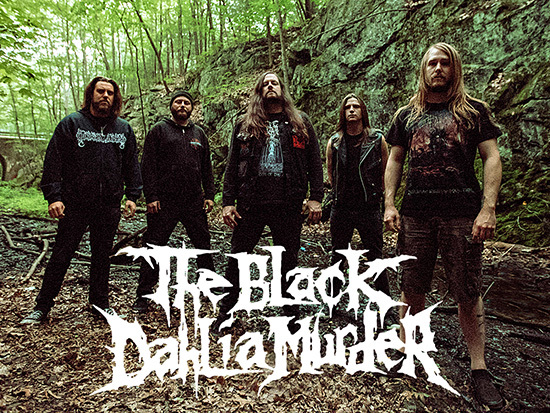 Melodic death metal band The Black Dahlia Murder has just thrown at us, their eighth full length album entitled "Nightbringer" through Metal Blade Records, undoubtedly this is a record that shows their consistence within the genre and proof of that is the immense amount of followers around the world, accumulated during fifteen plus years and placing them as one of the best acts of Melodic Death metal from America, and I would dare to say that the only one! always moving forward and avoid stay for longer than they should be in safe ground, we can appreciate that since the beginning "Unhallowed" with divided views, "Miasma" struggling to convince, but it was until arrived "Nocturnal" that clear out any doubts, after that came out "Deflorate", "Ritual" and then to reach the pinnacle of their career they deliver "Everblack", then came out "Abysmal" which is not bad at all, however will live forever in the shadows of "Everblack". "Nightbringer" contains nine tracks barely passing the mark of thirty-three minutes, in my opinion is some kind of short length album, but let's get to the point, this album kicks in with "Widowmaker" with a subtle and mysterious intro quickly as a lightning rumbles in your ears a fast riff not complicated but catchy, the double bass drum fit perfectly, the vocal job is outstanding showing a a very well educated throat shifting from deep gutturals to high screeches, next is "Of God and Serpent, Of Spectre and Snake" impressively fast without regrets crushes everything around, followed by "Matriarch" simply is an immaculate piece of unbridled dementia and a remarkable story line, "Nigthbringers" self titled album track offers the melody that distinguishes the sound of The Black Dahlia Murder, what else possibly I can say about this theme? "Jars" composed with a rhythmic and powerful riff, incorporates some background chorus, the guitar solo is magnificent almost by the end of the track, "King of the Nightworld" flirts lightly with a death 'n' roll feeling, something that we have already heard before in the repertoire of The Black Dahlia Murder, "Catacomb Hecatomb" aims to be the heaviest track of the album with a demolishing strength from the guitar work of Ellis and Brian is awesome, while Trevor delivers once again a vocal masterfully performance, "As Good as Dead" is totally devastating, the closing track is "The Lonely Deceased" drags you into an unmerciful stage of savagery, converging emotionally into a melodic chaos. 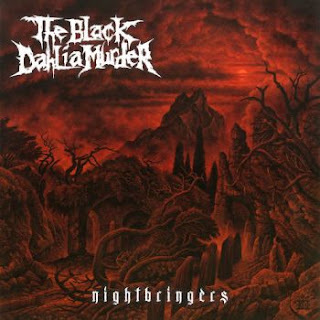 "Nightbringers" is able to offer a refreshing experience with their classical sound, few tricks here and there with memorable guitar solos, excellent drum work and why not to mention it, an incomparable vocal performance by Trevor perhaps the best that he has been able to deliver to date, I dare not say it is the best album by The Black Dahlia Murder, rather it is an album that uses its best weapons to attack the audience, something that is very prudent and leaves us wanting something better for the future.